Frowns, smiles and other facial expressions are set to join brain activity and other observed responses as the latest predictors used in ad testing research. Research agency Millward Brown has added ‘facial coding’ technology to its ad testing tools, claiming it can give insights into how audiences will emotionally react to advertising and indications of the ad’s impact on brand perceptions. 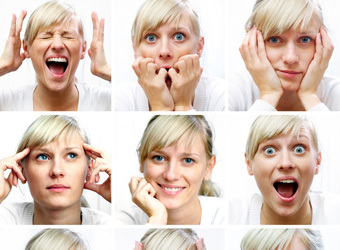 “Facial expressions paint a rich canvas of emotional response that provide invaluable insight into advertising and brand effectiveness,” the research agency says, claiming to be the first to offer the service in Australia. Facial coding uses webcams to record and measure real time emotional responses during ad viewing, analysing a viewer’s spontaneous reaction to the concept as they sit behind their computer at home. The approach can measure how well an ad captures a viewer’s attention, how they respond to it, and can also predict ad cut through and impact on brand perceptions and sales, according to Millward Brown. Millward Brown’s Link is an ad testing tool for creative development and evaluation that has been used in the development of 84,000 ads worldwide. Neuroscience, a technique which measures brain activity, is a key part of the technique and has been promoted by research and specialist agencies for serveral years now. Millward Brown, fellow researcher Nielsen and Neuro-Insight are just some of the firms that offer the service in Australia.